This stunning 9ct rose gold ring offers an elegant, vintage inspired style. 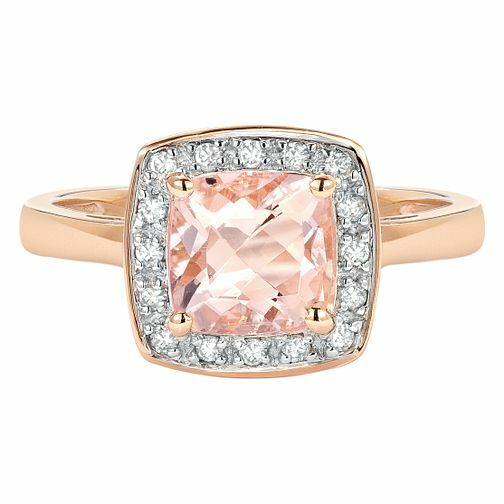 A feminine morganite centrepiece exhibiting a soft pink hue is surrounded by a classic diamond halo totalling 12 points. Sparkling and demure, this is a beautiful ring perfect for evening elegance. 9ct rose gold 12 point diamond & morganite ring is rated 4.9 out of 5 by 18.